When most people prepare for vacation, they pause or redirect their mail, carefully lock up their home, and ask their neighbours to keep an eye on their house. However, an important aspect that many homeowners forget is to shut off the main water valve to their home to prevent water damage while on vacation. 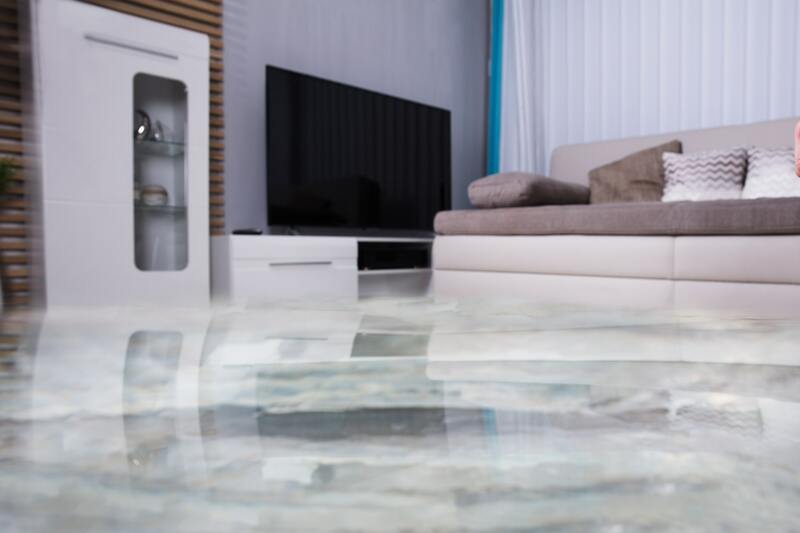 Especially when travelling during seasons with high levels of precipitation or an increased risk of frozen pipes, you should take precautions to prevent your home from water damage. Although you may believe that the chances of a flood while you are away are unlikely, here are some important tips you should consider before you go. One of the best ways to prevent water damage is to turn off the water to your toilet before your vacation. You should also turn off your water heater when on vacation. By shutting off the valve that controls all the water for your home, you can protect against catastrophic water damage. Ensure that your entire family is aware of the location of the main water shut off valve so that they can stop the water in an emergency. When you are going away for a long period of time, this valve should be shut off to prevent any leaks. Carefully and properly seal and lock all your doors and windows before leaving for vacation. Not only does this prevent critters and intruders from sneaking into your home, it also keeps the elements outside. It prevents outside moisture, rain, snow, hail, and wind from entering your home, so you can rest easy knowing no storms will flood your home. If you live in an area where the temperature freezes and thaws, make sure your home has frost-proof faucets. Although it is always safest to shut off your main water valve or supply line while you are away, frost-proof faucets can prevent water damage to your home. You can simply turn the water back on after your vacation. If you have pipes that are exposed to the outdoors, you should insulate them while you are away during the winter. Insulating your pipes will prevent them from freezing and cracking or breaking while you are away. For additional peace of mind have a trusted relative, friend, or neighbour visit your home once a week to make sure your home is safe. Show him or here where the thermostat is so they can ensure the heat is on during the winter, and that the home’s humidity level is low. They should also know the location of the main water valve in case there is a burst pipe or leak. Before you leave for your vacation you should consider which appliances you can turn off. Automatic sprinklers, dishwashers, ice makers, and washing machines all have shut off switches and valves that you should turn off before your vacation. You should also make sure that your toilets and sinks are turned off, as these are two of the most common areas where leaks occur. Floods caused by clogged gutters are some of the most easily preventable reasons for water damage. Your downspouts should be discharging water at least 10 feet away from your home, and your gutter should be free from debris, leaves, dust, and other materials that prevent rain water and snow melt from flowing down. Before you leave for vacation, walk around your home and inspect these areas. If any blockages are present, have them cleared out. If your downspout is too close to your home or your gutters are leaking or defective, have them repaired before you leave. Sump pump systems are designed to keep groundwater out of your basement. However, these pumps can fail at times, especially when they are not routinely tested and inspected. If you are planning on going away for more than a few days, test your sump pump by filling it with water and ensuring it is pumping out the water. If it is not working properly you should have it repaired before you go away. If you store items in your basement, make sure that any valuables are positioned off the ground. This should apply even if your basement is finished. Items like paperwork, photographs, memorabilia, and other important files and items should be stored in weather and fireproof containers. They should be stored high up so that they don’t get damaged in the event of a flood. Got Water Damage or Flood Prevention Questions for the Pros? If you want the security and peace of mind in knowing your home is completely safe to live in after flood damage, hiring the professionals is the answer. They will drain, dry, extract, and salvage as much of your property as possible so you can reduce losses and eliminate the risk of lasting damage. If you need help with water damage cleanup in Toronto, Flood Services Canada can help you. Our professionals can provide you with a variety of solutions, and we can help you settle with your insurance company to get your life back to normal as soon as possible. We deploy our quick-response teams across the GTA to help homeowners save their property in emergency situations. We provide 24/7 sewage, water damage, and food cleanup services and will use the best techniques, personnel, and equipment to ensure your home is clean, safe, and dry as soon as possible. Contact us at (416) 302-2107 to learn more about our services, or use our emergency hotline at (416) 999-3930 to get our rapid-response teams deployed to your location.